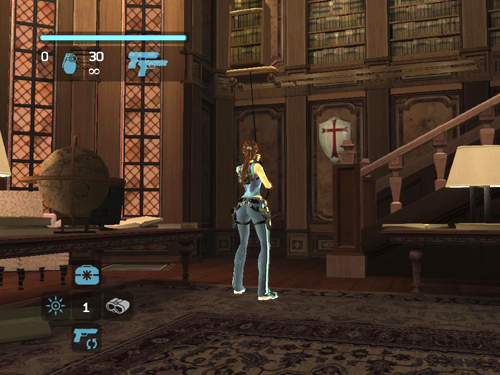 As you enter the library, Lara looks to her right, alerting you to the boarded-up alcove. 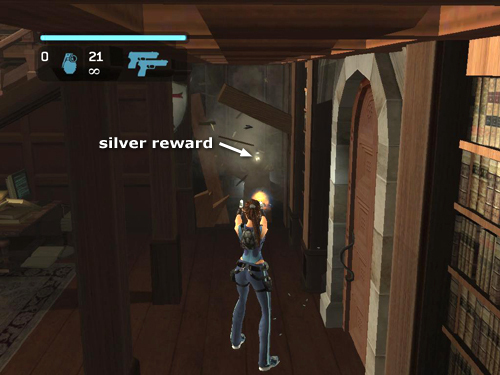 Shoot the boards and squeeze in to get a silver reward (1/10). 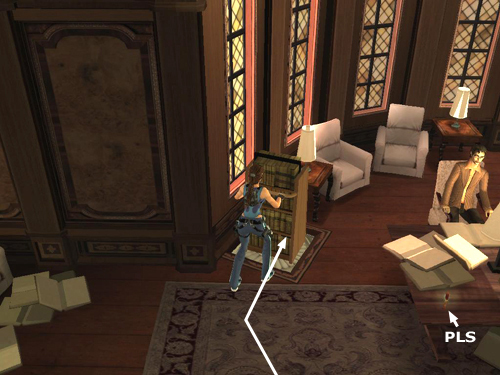 Push/pull the book cart out of the alcove and across the room. Position the cart on the pressure pad to the left of the desk where Alister is working. Pick up the PLS on the desk. 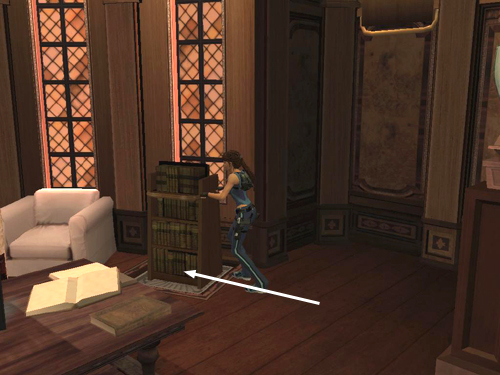 Then use the grapple to pull down a second book cart from a high shelf above the bottom of the stairs. Move that cart onto the other pressure pad. 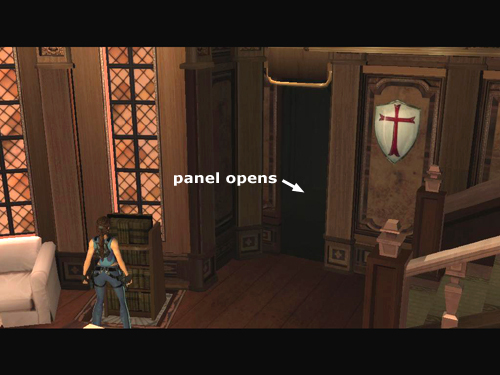 When both pads are depressed, a short cut scene shows a secret panel at the bottom of the stairs opening. NOTE: If the panel doesn't open, check to make sure both carts are seated properly on the pads.